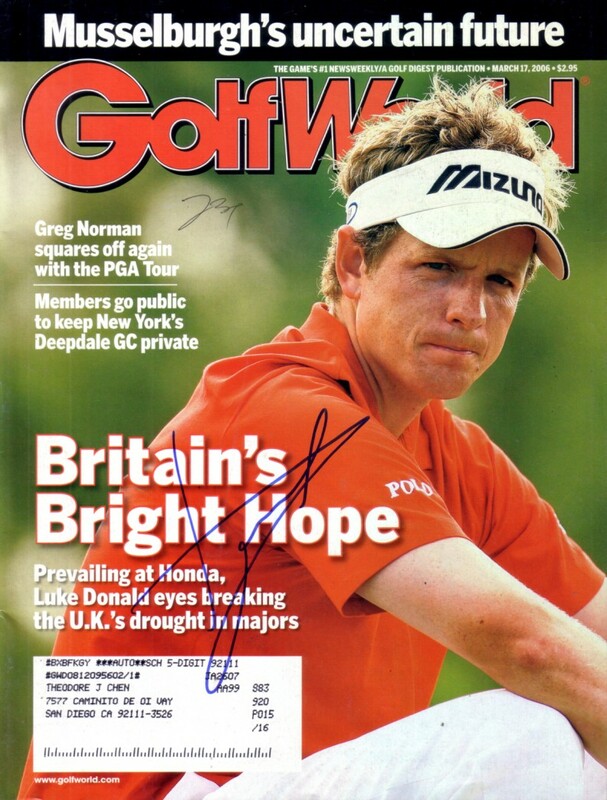 2006 Golf World magazine autographed on the cover by PGA Tour star Luke Donald. NOTE: there is small ballpoint writing underneath the "ol" in Golf. ONLY ONE AVAILABLE FOR SALE.